Foiled Pebble Beach - Polish This! I hadn't used any foils for quite a while so I decided to dig them up and do some simple nail art that included foils. I used two coats of Lumene Pebble Beach / Silokallio as my base color. Then I just applied randomly some foil glue trying to get somewhat gradient pattern on the nails and then used that silver holographic foil. At first I thought I didn't get exactly the gradient look I was trying to go for, but in the end I still ended up liking this effect very much. 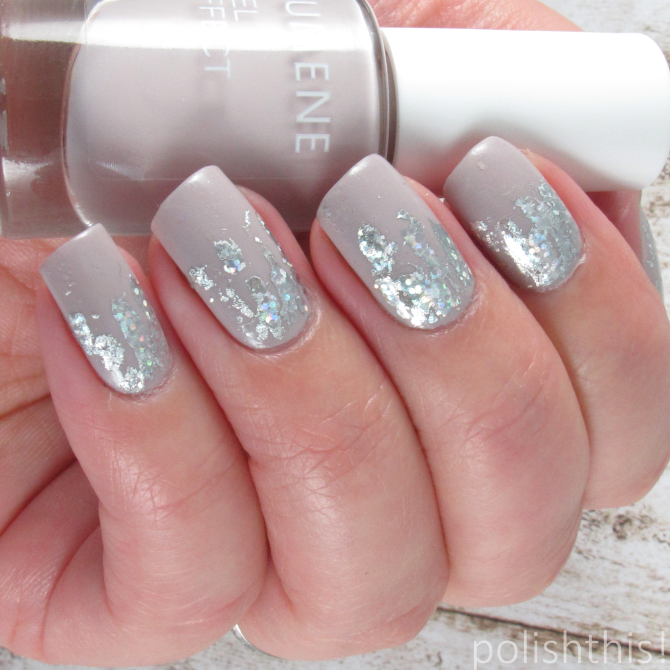 I really liked this Lumene polish as well! 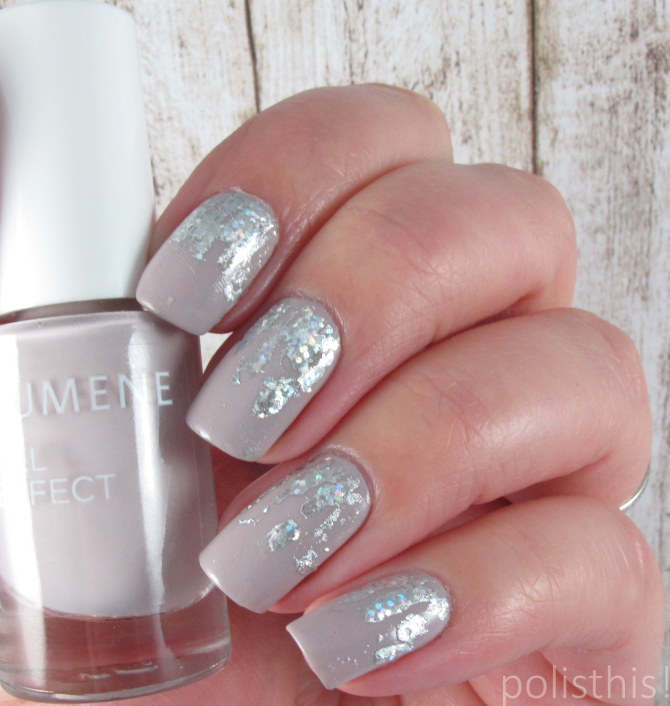 If you are not familiar with the brand, Lumene is a Finnish skincare and makeup brand that has a great gel effect nails polish line too. 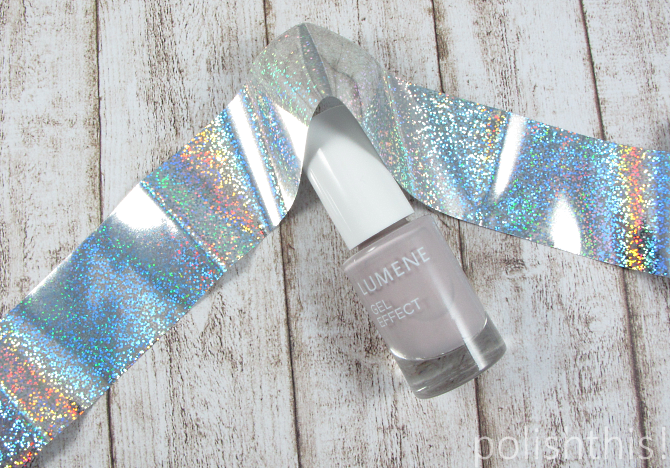 I haven't bought Lumene polishes for a while, not that I didn't want to or anything like that, but the second I saw the new neutral fall shades, I knew I had to buy at least one of them. I decided to go with this Pebble Beach / Silokallio shade as it's such a beautiful lilac leaning neutral shade or maybe a light mauve. It has pretty great formula for such a light shade, I only needed two coats for full coverage. 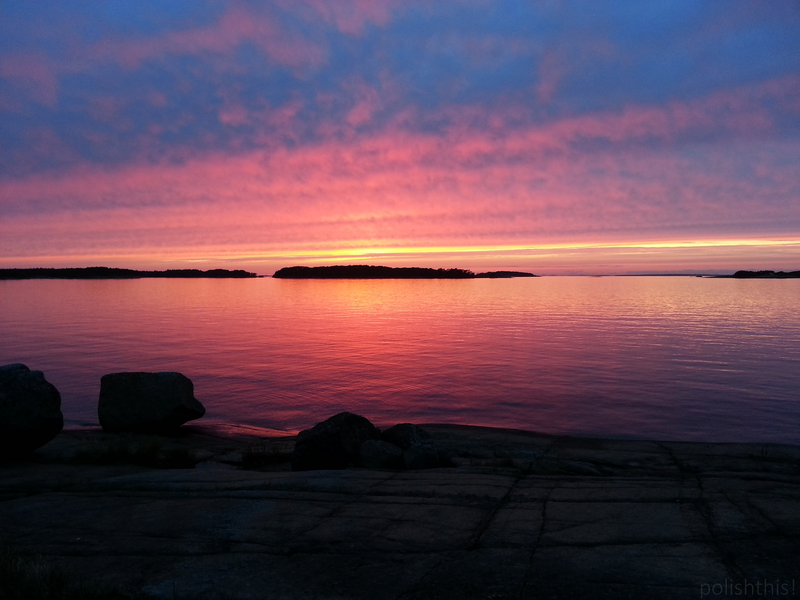 This is a picture from the island shore where my family's summer house is. This particular photo is from 2013 but I have so so many photos like this with different seasons and hundreds sunsets, all of them different from another of course. And no, I did not enhance the colors, the sunset was just like that! It's the view that's pretty much the most familiar to me. So it's safe to say that I really love the name of this polish, both the English version and the Finnish version. Voi kiitos! <3 Yksinkertaiset on monesti parhaat!